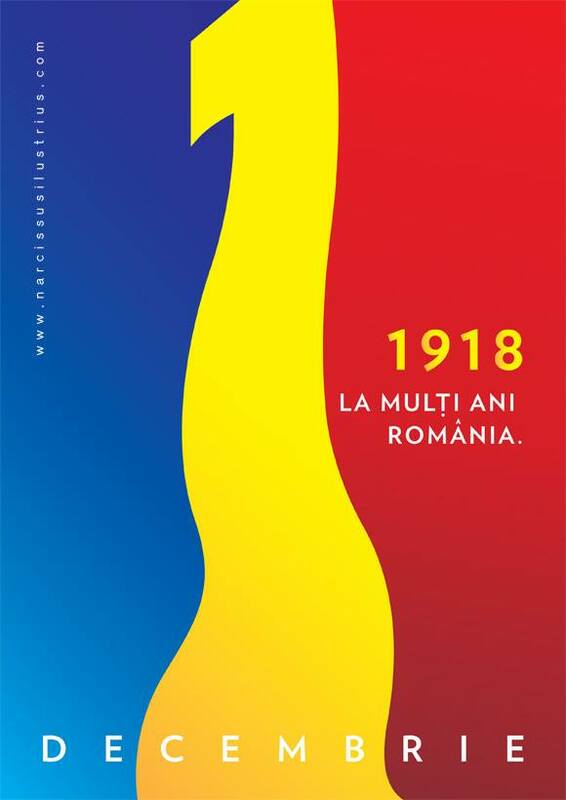 Today, the 1st of December, is Romania’s National Day: we, Romanians, celebrate 99 years since the Great Union was made, at the end of World War I, when Transylvania was united with the Kingdom of Romania. Considering the geopolitical context of today, when the common phenomenon is “Divide et Impera” and many nations and countries are on the verge of division and extinction, are divided and even destroyed, I definitely cherish this event as being even more precious. And finally, considering the geopolitical times of that era, I find this historical moment, even more miraculous, the Union of the three lands into one single strong state. This is what I’m celebrating today! This is my visual tribute for this very important historical moment: a poster and a banner. The copyrights and trademarks of material used here are the property of the respective owners of such rights. All rights reserved. Individual works © Narcis Lupou . No part of this publication may be reproduced or transmitted in any form or by any means without permission in writing from the copyright holder.